The Community Engagement Planning Process with Meridian CUSD #15 resulted in a clear direction, to reduce the number of campuses from four to two and concentrate resources to make these remaining two campuses healthy, safe, and educationally relevant. 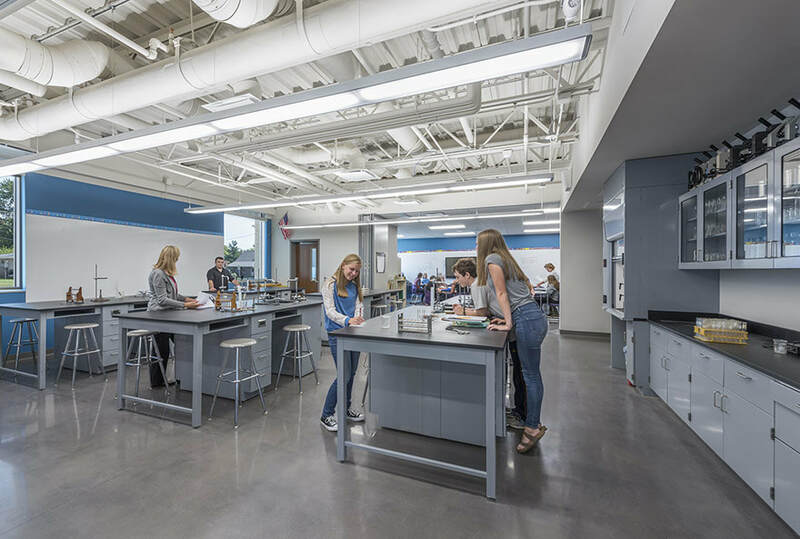 The solution called for building a multi-story high school addition to replace the high school and renovating the current high school facility to house the middle school. The project requirements posed a challenge on what was becoming a very restricted site. There were existing infrastructure constraints, as well as increased parking and play field needs. 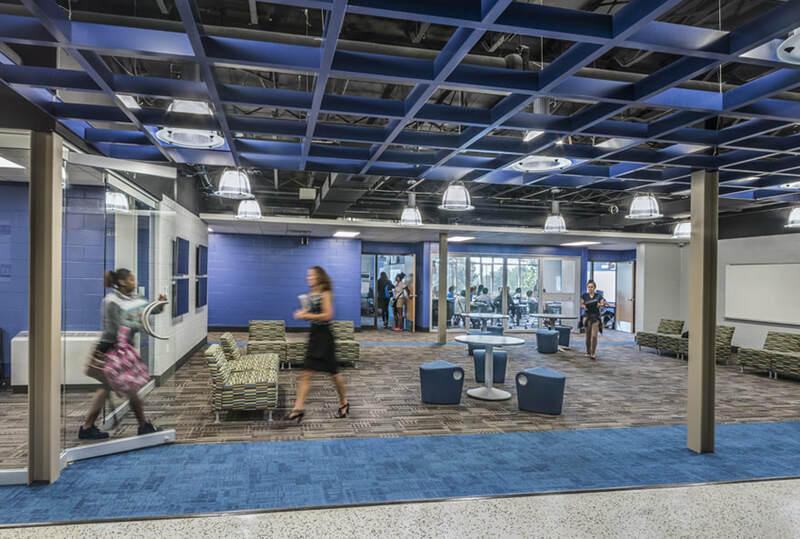 Shared amenities for both middle and high school students were created in a transitional zone that houses food service, arts programs, career education and athletics. This arrangement resulted in both middle and high school programs’ ability to increase course offerings despite limited resources. The community investment in this process was essential in the successful passage of a 1% county-wide sales tax that provided funding for the project. 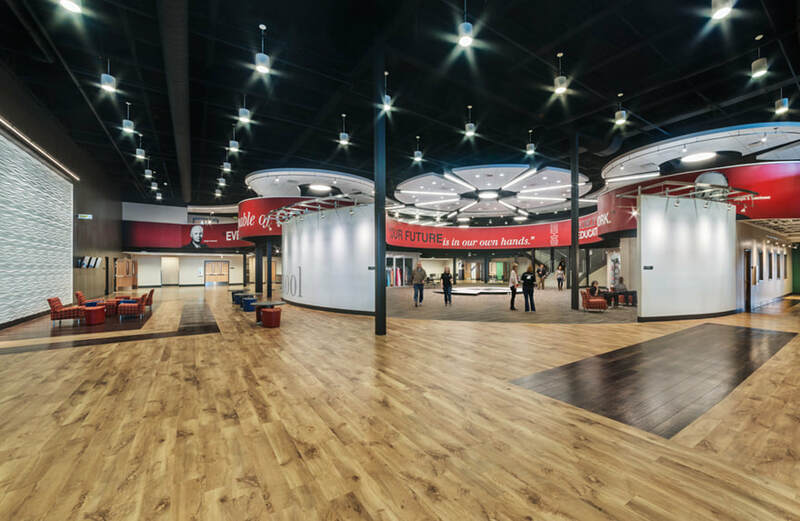 This coupled with the State of Illinois School Construction Grant made their goals a reality. 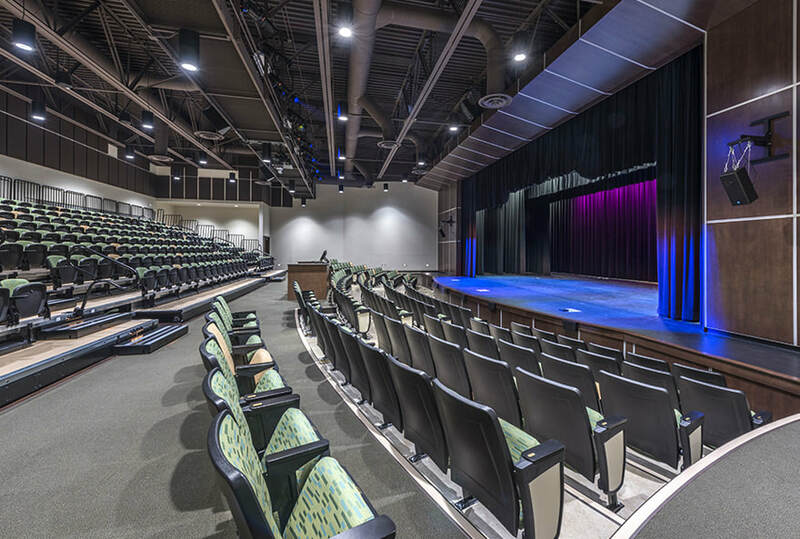 State-of-the-art auditorium / multi-purpose space allows for maximum offerings to students and community. 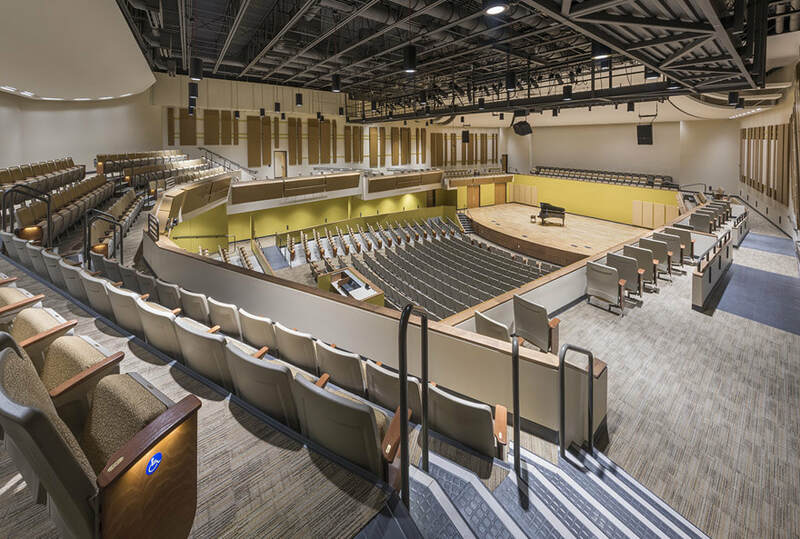 Additional auditorium seating can be folded away to allow increased space for multi-functional use.